For much of the country, the approach of warmer weather signifies flooding, with damage ranging from an annoying headache to catastrophic consequences. But many are unaware of the dangerous implications of increased flood risks, and no area is immune to flooding. 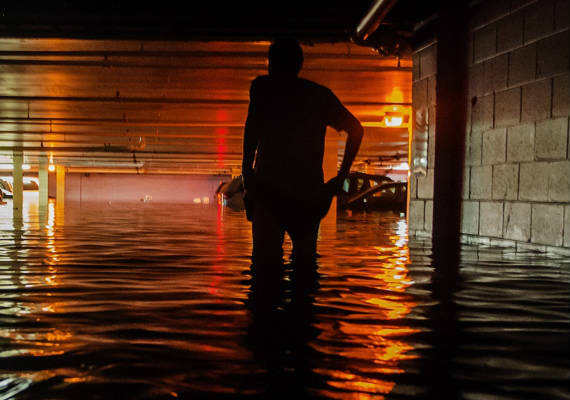 The Federal Emergency Management Agency (FEMA) reports that 90 percent of all natural disasters in the U.S. involve flooding, making it the most frequent and costliest severe weather threat. Updated flood map models using the latest river, elevation, and rainfall data point to additional grim statistics: the actual number of people exposed to flood risk is approximately 41 million – not 13 million as FEMA previously estimated. This underestimate relied on outdated information and ignored numerous small streams that run through populated zones. And while citizens turn to Congress to update the National Flood Insurance Program (NFIP), which is about $30 billion in debt, change is slow to come as flood insurance reform faces delays with other issues taking precedence. Without adequate funding available to update flood maps, Americans must compensate for outdated maps by protecting themselves as much as possible against flooding risks. Nearly 20 percent of flood insurance claims occur in moderate to low risk areas not considered flood zones, and every year, flash floods claim more American lives than any other weather-related incident. Typically, flood damage resulting from surface water, including surges caused by storms, is not covered in standard homeowner and renter insurance policies. And while homeowners and renters through the NFIP can cover up to $250,000 for the structure of your home, as well as $100,000 for the contents of your home, with current federal government financial challenges, you’ll need to do all you can to prevent having to make a claim with the uncertainty of NFIP. When meeting with your HUB broker, utilize the NFIP’s Flood Insurance Rate Maps (FIRM), which provides an overview flood risk assessment for communities in high, moderate to low and even undetermined risk areas and then discuss augmenting your homeowner’s policy with flood insurance. Flood insurance compensates for what your homeowner’s insurance policy doesn’t handle by specifically covering flood damage costs. An insurance professional who knows the market can assist you in navigating your specific flood insurance options and advise you in the areas of water damage loss, excess flood coverage, and coverage for backup of sewers and drains.